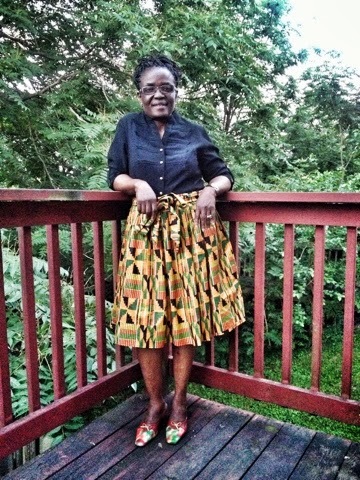 Came home yesterday and got excited as soon as I saw my mom.. She was wearing the skirt I made her a few months ago. She's been wanting to wear it but she said she couldn't find the right colored top to wear it with. 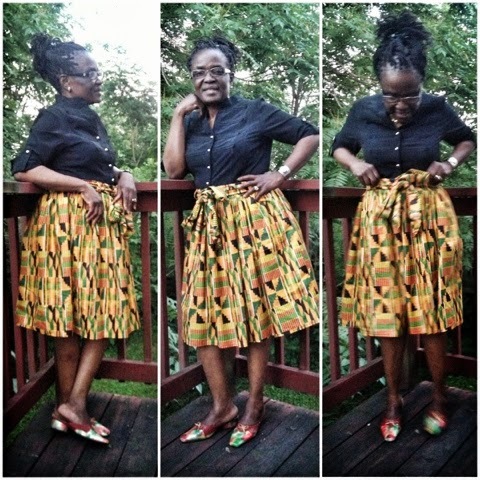 I first made this skirt for myself and as soon as my mom saw it, she want me to make one for her too. She said she wanted me to make it exactly like mine. 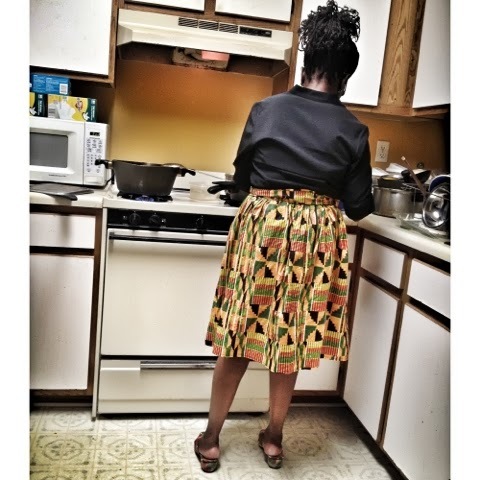 :) She also loved it because I used Ghanaian Kente cloth; she grew up in Ghana. As soon as I was done, she absolutely loved it and said, "We should wear it on the same day, so we can look like twins." LOL I quickly gave her the side eye and said, "No!" When I saw her wearing it yesterday, I was so excited and asked her for a mini photo shoot. And of course she said Yes! It was pretty easy to make. All that was need was her waist measurement and the skirt length she prefers. The most difficult part was the gather, making sure I don't break the thread. This is my go-to skirt to quickly make. very nice job. how much fullness did you add for this skirt. I am making the same skirt with 3x fullness and it is looking huge. lol. great work!